Since the success of Crufts 2012, broadcast earlier this month, Jeff Allen, head instructor and CEO of Dog School, an experience dog training school based in Surrey, has noticed an increase in the number of dog owners, inspired by the dogs of Crufts, approaching him about agility training for their pets. What many people fail to recognise is that it’s important to master the basics if you have any hope of training your own pet to the standard seen at Crufts. As such, Jeff has offered up some simple, but very helpful tips to help owners get to grips with the fundamentals of dog training. Master these top tips from Jeff with your own dog and soon you’ll be ready to attempted some more advanced techniques such as those demonstrated by Jeff at his dog training classes in Surrey. New dog or puppy owners should remember that their first few weeks together are the most important, so it is important to develop a good bond between owner and dog at this point – start as you mean to continue! Make training session fun for both you and your dig and keep them brief! Three ten minute sessions will be more beneficial than a full half hour. Personifying a dog is a mistake often made by new owners. Remember dogs do share the same intellect and emotions as people! Dogs get confused if you talk to them as though they were people. Also, bear in mind that your dog is not a robot either and you can pass on your negative emotions to your pet. So, refraining from training if you feel tried or frustrated, training session are much more rewarding and effective if both the owner and dog are in a good mood. Training should be continuous! Once a dog is well trained, do not neglect to carry out further training. Dogs are always learning throughout their lives, so keep up the training if you want a well behaved dog. Rewarding good behaviour will achieve better results than punishing bad behaviour. Dominating an animal and making them submissive isn’t the key to successful training. Build a dog’s confidence with positive reinforcement and encouragement. Do not forget that unwanted behaviour can often be controlled without having to resort to punishment! Learn to recognise your dog’s body language. Open mouth, relaxed body and the obligatory wagging tail are all signs of a happy dog. Conversely, a rigid body and closed mouth can indicate that a dog is anxious. Understanding your pet’s body language and emotions can really make a difference to training. When issuing commands, be consistent. Dogs will easily become confused if you use different commands for the same behaviours - associating one word with one behaviour is the ideal way to train your dog. So, for each behaviour you teach your dog ensure you consistently use the same command, this will make training a lot easier for both dog and owner. If you stick with these dog training tips, used effectively by Jeff whilst offering dog training in Croydon, then you’ll find that teaching a dog may not be quite as daunting a task as you initially thought. These simply rules are just as effective for teaching simple commands like sitting and walking to heel as they are for more advanced techniques. Train your dog well from puppyhood and you’ll soon find that they’re ready to tackle the agility courses in latter life! 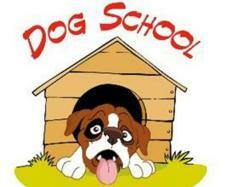 For more information on dog training and agility training, including puppy classes, visit http://www.dogschoolltd.co.uk/.